While it's upsetting to see anyone lose the battle with cancer, what's really maddening to cancer survivor Mona Ackerman is remembering how Elizabeth Edwards was treated when she didn't immediately leave her husband after his affair. I am watching all of the news programs talk about the death of Elizabeth Edwards and boy, am I angry. Needless to say, it upsets me, as a two-time winner in the contest with the strong, aggressive, and tough opponent cancer, to see anyone lose the battle. It is especially disheartening because medical experts say she lost the race to stay alive because the correct medicine for her cancer stage has not yet been discovered. Those of us with tough cancers are all hoping that the med we are taking keeps us alive with some kind of quality of life until some brilliant young scientist has finished his research and has found the cure for our own evil opponent. • Jonathan Alter: Elizabeth’s Brave MessageBut what really infuriates me is the memory of what happened when it was discovered that John Edwards had been involved with another woman and had produced a child. Lots of women indignantly pronounced with certainty that Elizabeth Edwards must leave her husband as retaliation for his stupid dalliance. How can any woman stay with a man who has proved himself to be this stupid and who has deeply and publicly humiliated his wife? A woman who stays with her man is obviously weak or stupid herself. Such a woman is not waving the banner that all women must hold aloft when confronted with such an event. There is only one way to realistically respond to this weak man. He must be left. We will never call ourselves married to him again. This was the exact uproar that accompanied the Clinton and Spitzer scandals. Hillary Clinton and Silda Wall were effectively ordered to leave their husbands. There was, they were told, no other choice. But there is another choice. There are always choices. What is the expression—that’s what makes horse racing? Not just because we don’t all psychologically and emotionally respond to every situation in exactly the same way, but also because every situation is different, complex in ways we don’t know and can’t appreciate. How do any of us really know what life is for others? How do we know what another person is struggling with or what her dreams are—for her home, for her family, for both of them when she is no longer around? In the Edwards’ home, there was serious illness. In the Edwards’ home, there were two little children. In the Edwards’ home, there was more than just a stupid man. In fact, even though they had separated and she had filed for divorce, that man was there at the deathbed. We don’t know if Elizabeth forgave him. We don’t know if John was in the room. We don’t know if he was hugging his little kids. We don’t have to know that. All we have to know is that she had the right to die with whomever she wanted around her. All we have to know is that she had the right to die knowing that her family was the way she wanted it, even just for that moment. All we had to know is that she had to make her decisions based on her needs, not our own, her own sense of reality, not one imposed by others. It was her family, not ours. It was her choice, not ours. May she rest, finally, in peace. 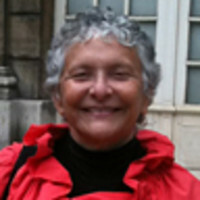 Dr. Mona Ackerman is a clinical psychologist with offices in Manhattan. She has suspended her practice while being treated for ovarian cancer and will resume seeing patients as soon as is practical.